iTunes is a media library application developed by Apple Inc. It is used to play, download, and organize digital audio and video on personal computers running the OS X and Microsoft Windows operating systems. 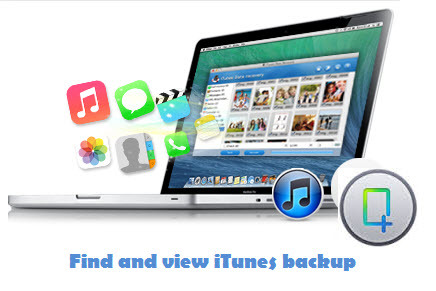 when Apple users synced their device to iTunes; iTunes will automatically generate a backup for the iPhone, iPod or iPad. Those data include photos, videos, contacts, notes, calendar, SMS, etc. 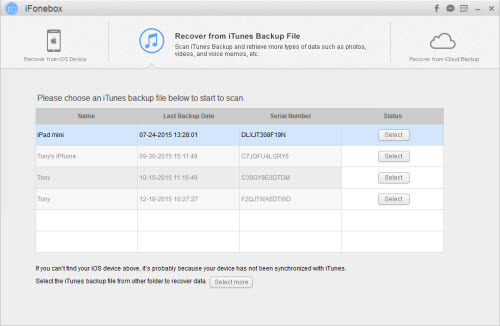 Sometimes, you may want to view iTunes backup files on your computer to make sure whether your files or data have been restored. But there’s a problem, you don’t know where the iTune backup files stored and you also unable to access the iTunes backup folder on computer. Actually, it’s very easy. This article will tell you the location of iPhone/iPad/iPod backup files in iTunes and show you how to find and view your iTunes backup on your computer. Now you’ve known the location of your iPhone/iPad/iPod backup file, however, I’m afraid that you unable to access the iTunes backup folder. In order to protect personal privacy, iTunes backup is a kind of SQLITEDB file, which doesn’t allow anyone to access or preview .If you want to view iPhone/iPad/iPod backup files, you need a third party tool to assist you extracting all contents from it. If you have no idea which one is better, I suggest you to try iFonebox (Windows&Mac). It’s very easy to use and enables you to view all details of your iTunes backup content in a few clicks.Now you can follow the steps below to find out and extract your ios data from iTunes backup. Firstly Download the trial version of iFonebox for Windows and Mac by clicking the below icons and then install it on your Mac or PC to have a try! Here we use iFonebox for Mac as an example, if you are running a windows computer, you can get the windows version and do the same operation as below. This program also enables you to recover data directly from iPhone/iPad/iPod. If you lost or deleted your important data and you have no backup files, you can use this software to scan you ios devcie directly and recover the lost or deleted files. 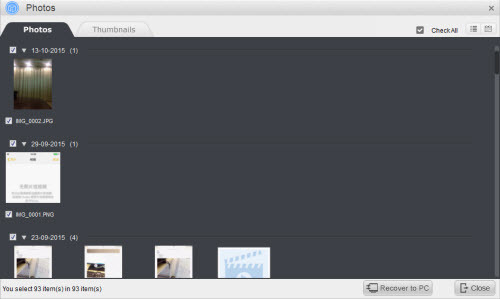 How to Recover Deleted Photo from iPhone Camera Roll?